Shipping quote provided upon order or call Sandy 815-895-1872 for shipping quote before order is placed. 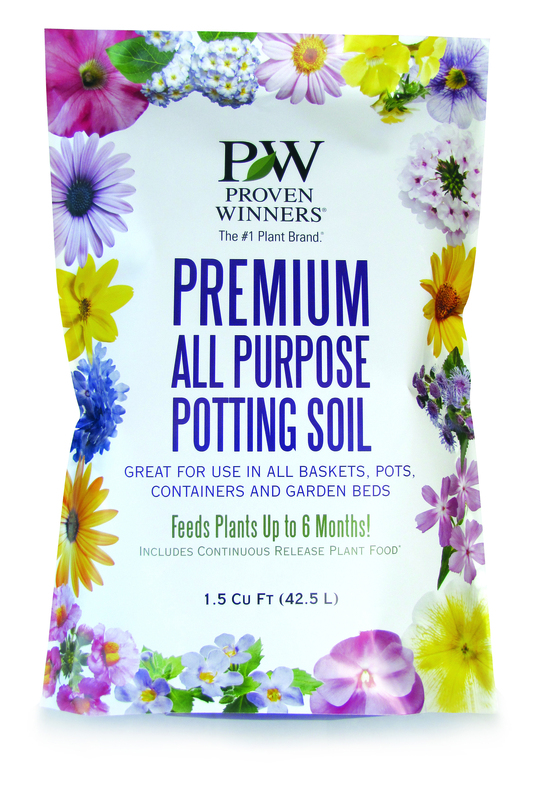 This professional grade potting soil is made from a blend of premium Canadian Sphagnum peat moss, processed softwood bark, and horticultural grade perlite. It also contains Dolomite Lime to buffer soil pH, and a professional wetting agent. 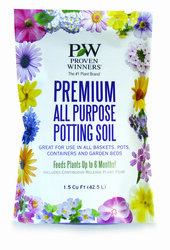 A premium all-purpose potting soil for use in any garden setting. The 1.5 cu. ft. bag includes a 6-month formulation of Proven Winners Premium Continuous Release Plant Food. 75 bags per pallet.